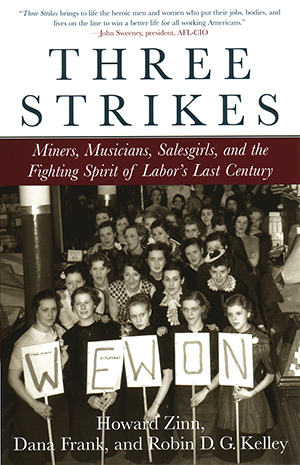 Three renowned historians present stirring tales of labor: Howard Zinn tells the grim tale of the Ludlow Massacre, a drama of beleaguered immigrant workers, Mother Jones, and the politics of corporate power in the age of the robber barons. Dana Frank brings to light the little-known story of a successful sit-in conducted by the ’counter girls’ at the Detroit Woolworth’s during the Great Depression. Robin D. G. Kelley’s story of a movie theater musicians’ strike in New York asks what defines work in times of changing technology.